The poll has been closed, the votes have been tallied, and the winner of the uncharged phone horror stories contest, with nearly 46% of the vote, is Phil W.'s tale of missing the opportunity to gather photographic evidence that his friend's girl was, in fact, cheating on him. 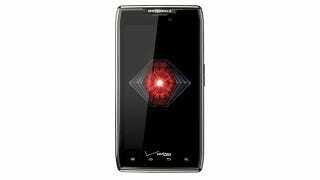 Phil, wingman of wingmen, has won a brand-new DROID RAZR MAXX by Motorola. Let's hope that his wronged pal has found a devoted girlfriend, leaving Phil's SIM card free to collect images of fuzzy kittens and double rainbows. Winner: Phil W. "(Almost) Busted!" My good friend has recently taken a turn for the worst with his latest relationship. He fell hard for a girl that works for him and has kind of lost himself in the relationship. He tells our mutual friends and me how "she gets him on another level" and how, "she's mature for a 23 year old." Cliches aside, the only thing she "gets on another level" is that he pays her bills and is too trusting for his own good. The other day, after trying to stay out of it, I had to speak up. She had thrown a fit because she had sent an odd text to my good friend saying something along the lines of, "last night was sooo amazing" last night was supposedly spent at her parents' house… So unless that was her dad she was texting because he used all his tiles for a 78-point word in Scrabble, something was up. When he asked her what the text was about, she was immediately defensive (which always means innocence, yes?). She then said that her friend had come over the previous night and they cooked really good pasta together? I strongly suspected foul play as an outsider weighing the facts—didn't matter though, as my good friend was blinded by love. I fought all day to let it go as he had asked but finally I said forget it and I called him on my lunch break at work. He still didn't want to believe the facts and we had about an hour long fight over the phone about him and her. The call ended abruptly with the beep beep beep of the dead battery on my phone and that was that, or so I thought. After the call I went back into the restaurant where I work as a chef (she didn't know I worked her) and walked to the dining room grab a glass of water. As soon as I rounded the corner I heard a familiar laugh and it was her, all 23 mature years of her. She was at the bar, touching and flirting with a young square-jawed kid who definitely was not my good friend, I didn't know she had a brother? I ducked back behind the corner and peeked back out and saw her brother place his hand on her nicely-shaped backside and they proceeded to make out heavily. Obviously the jig was up and I knew hard evidence like this would finally help my friend move on with his life. I reached down for my phone to snap a picture and then I realized!!! SWEET IRONY!!! In speaking with him on the phone earlier and arguing about how she wasn't right MY BATTERY had quickly died, denying me crystal clear undeniable proof!!! I told him later and of course he wouldn't believe it was her. He did try to ask her and she threw another fit and said he was smothering her which scared him off the trail. Unfortunately he got to find out the hard way when he stopped by her apartment to surprise her with flowers on her birthday and walked in on her and her "brother" during an afternoon sleepover! My good friend would have benefitted from me having a reliable phone, instead he had to be in the same room as his worst nightmare came true.